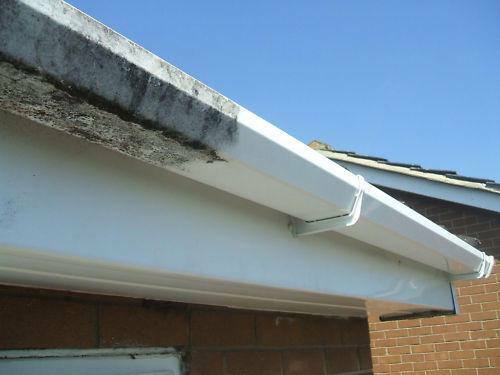 Our customers are often left astounded by the difference it makes having their UPVC or metal Fascia’s, Soffit’s, Cladding and Gutters cleaned. Although this does not necessarily need to be a regular clean, the amount of dirt, grime, algae and cobwebs that builds up over short periods of time is still surprising. New Leaf Window Cleaning uses environmentally friendly cleaning solutions and specialist water fed pole equipment to ensure that these sections of your home or commercial premises are given that perfect finishing touch.